We at K1 Technologies strive to bring our customers a high-quality connecting rod at an affordable price, while providing world-class customer service. We will treat our customers with respect, realizing that it is our privilege to be your source of connecting rods and crankshafts. K1 Technologies produces “RACEREADY” rods and cranks at very affordable prices. 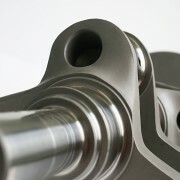 Our connecting rods and crankshafts are a cut above the average imported rod. They are made to our designs and are held to some of the tightest accepted tolerances in the racing industry. More attention is shown to finish work than comparable products. A wide variety of sizes and applications are available, from the Sport Compact sizes through Small Block and Big Block Chevy and Mopar, including some custom and specialty sizes. 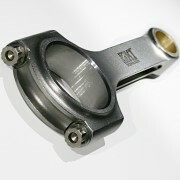 Our unique design, which is original to the K1 Technologies line of connecting rods, saves weight without sacrificing strength. We use ARP bolts exclusively. Premium 4340 steel is used to manufacture all of our connecting rods and crankshafts. We only use ARP fasteners, with ARP 2000 included standard and 625+ Custom Age bolts available as an upgrade. 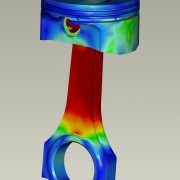 Bearing bore tolerances are held to +/-.0001″. Bronze bushings allow for a full-floating pin. Press-fit pins are available on some rod sizes. 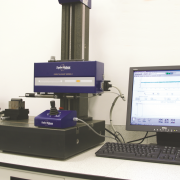 Click here to take a look at the K1 Technologies product catalogue. Find more information on the K1 Technologies website.